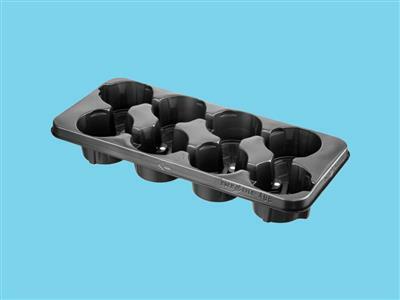 Desch Normpack 408 Transport and cultivation trays, 5 trays / CC-shelf. Suitable for pot size dia. 12, 13. Size56x25x7 cm. Stepped cultivation bottom with punched holes. Standard colour terra cotta and white, special colours on request.